The original finish we apply to all our working cutting, chopping and display boards is a blend of mineral oils and pure natural beeswax. The mineral oil penetrates into the wood fibers to retain moisture and help to prevent cracking while the natural beeswax sits on the surface and fills the pours providing a moisture barrier keeping the wood healthy and repelling water. 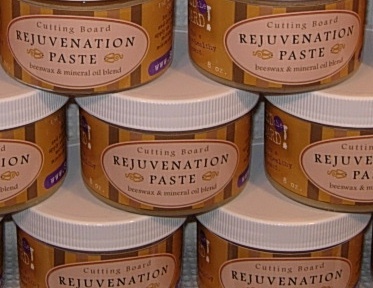 Apply monthly or as often as your board requires to assure a healthy and long lasting working cutting board.